To develop your request for myWSU access, you will need to work with your supervisor to identify the access needed and then draft a business reason for the requested access and indicate the specific areas that you will need access to within myWSU. Then, use the list below and identify your area authority so that you can select them in the online request process. 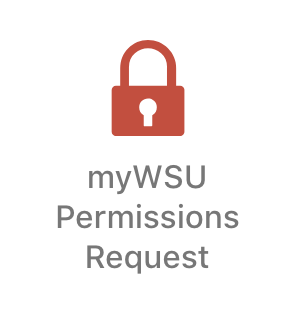 Select the myWSU Permissions Request icon and enter the information requested in the online form.